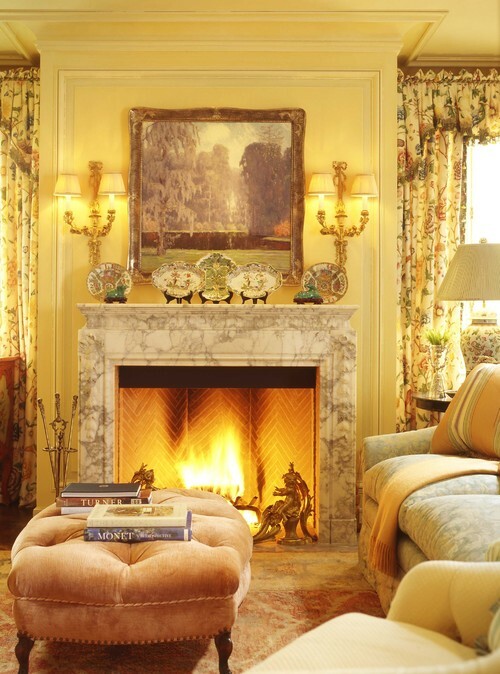 We've said it time and time again, but your fireplace is typically the focal point of any room. Why not add to that focal point in a myriad of ways aesthetically? These tips are applicable year round and will create gorgeous displays that suit your lifestyle and enhance the warmest part of your room. 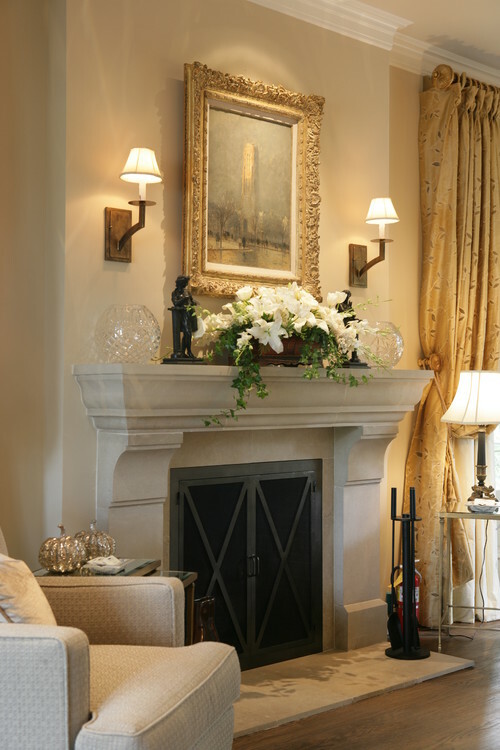 Refresh your fireplace mantel in ten easy steps and return focus to the anchor of your room. "It’s a place for showcasing our favorite things..."
The hearth is often viewed as the center of the home. That being said, the mantel is a place to tell your story. It’s a place for showcasing our favorite things, or it can be that one area for rotating weekly doses of design, or perhaps your rich family history. The fresh start for your mantel does not have to be a daunting task. Here are some simple ideas to kick off the your design. Symmetry: something the human eye unknowingly looks for. What I particularly like about this mantel besides the great symmetry is the layering of different object art. The mirror is mounted directly into the brick. We recommend hiring a professional to hang this if you don’t feel comfortable or have the tools. Do you collect botanical prints? This is a contemporary way to add a hint of nature to your hearth. Display them on the mantel. It’s fine to prop art up against a wall (given you have enough depth on your mantel). Fresh potted plants act as perfect bookends. Repeat rounds. A circular shape is a nice complement to the rigid squareness of a mantel. Here they’re used in what is seemingly layers. A minimalist design is a great way to make a bold statement on a mantel. Try grouping a cluster of like-colored objects to one side to create visual interest. The visual weight of the grouping to one side helps create a modern vibe. Adding a great-looking pendant can balance the vignette. 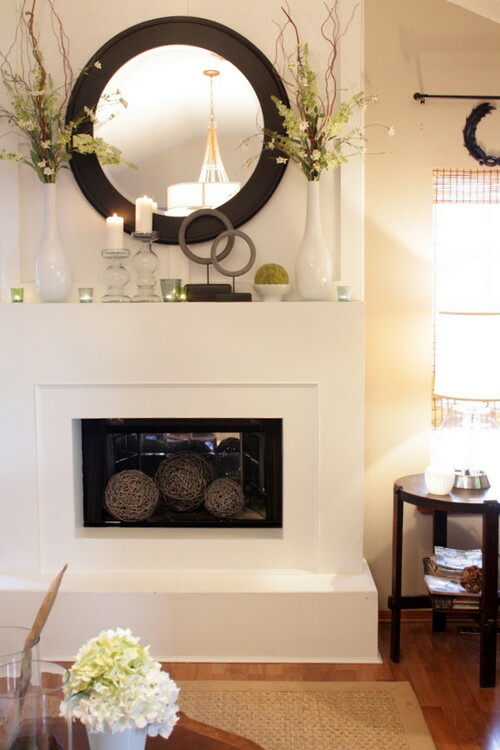 A mantel is a nice place to rotate design and keep the area fresh and new. If you like a little something different every week, a good way to accomplish this is by adding fresh flowers. This design shows a distinct focal point with the lighting. Why let your favorite china collect layers of dust in the pantry? Consider displaying a favorite dish collection up on the mantel for everyone to enjoy. This is a good way to show grandma's dishes. Mismatched china can add some visual interest. Use themed specific accessories based on location to make a statement about your home. 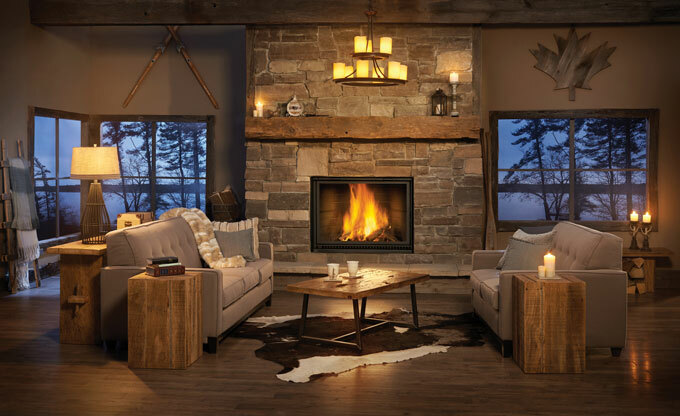 This rustic-looking décor pairs nicely with the geographical location of this lodge. Share a story about your hobbies or occupation. 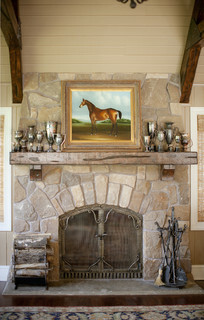 Artwork is a classy way to showcase a hobby; like a horse-breeding occupation or perhaps just a love of horses. Lighting is a very powerful way to do the talking. Perhaps the only change needed to your mantel is the way in which it’s lit. 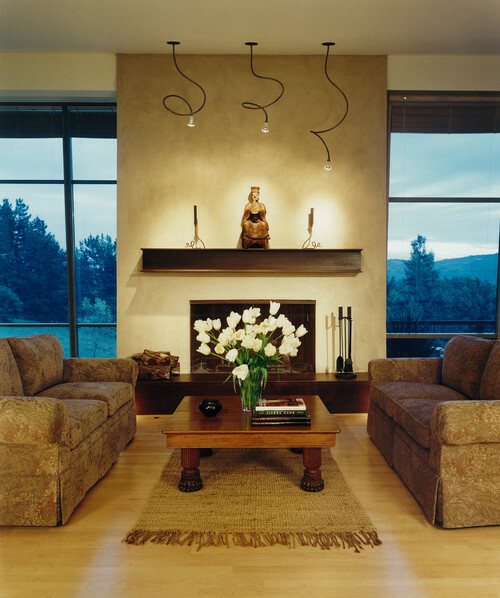 Pendants or sconces in pairs in repetitions is a nice way to do so. 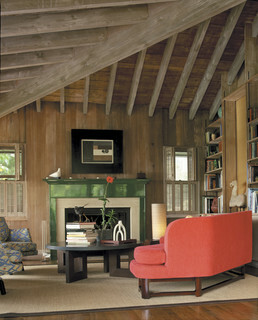 Lastly, the most important thing to consider when giving your hearth a makeover is fresh paint. The boldness of this high-gloss green adds great visual interest because the color is unexpected and fun. There’s no need to over accessorize a mantel with bold color. Hope you enjoyed these tips and tricks. 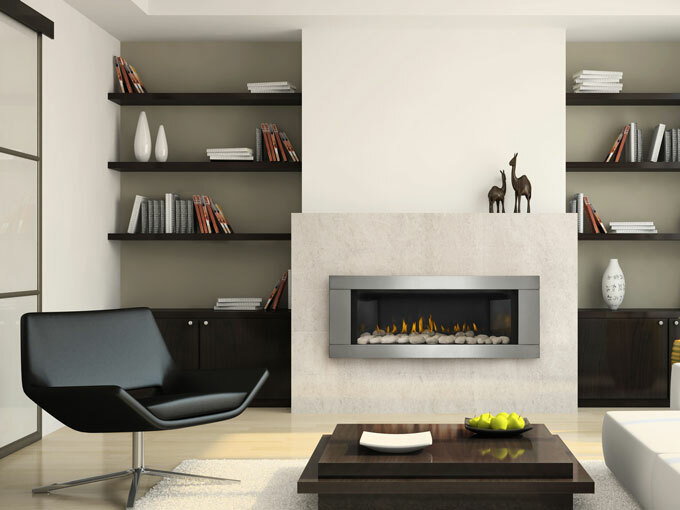 Check out our other blog, How to Modernize a Gas Fireplace for further ideas on fireplace renovation.